Let's face it, cost is usually the bottom line. Leasing a car can be a great deal for someone who loves to drive a new car every couple of years, without having to worry about the stress of maintenance and repairs. It's a great method for those who do not want to spend hefty amounts for the purchase and maintenance on their own vehicles. 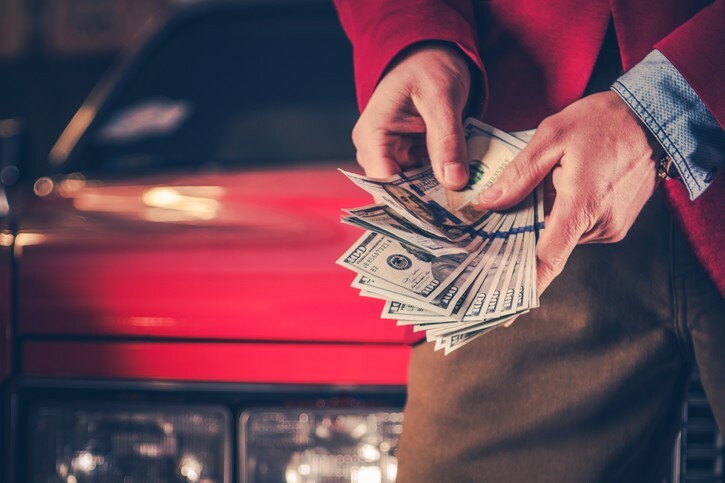 But before you lease a car, it is important to have a clear understanding of the components involved in a lease payment before you make any deal. Leasing a car is a completely different process than purchasing one, and the leasing experts at Carlease.com are here to help you navigate these tricky deals. Depreciation - the reduction in the value of the car during the lease term, usually a period of 3 to 5 years. Financing - the cost you pay to your leasing company for the money used to purchase the right car for you. Sales Tax - the additional cost on top of the lease payment. Each U.S. state has its own tax laws and sales tax rate. Therefore, you should have a clear idea of the impact it will have on your state tax and on the lease cost. 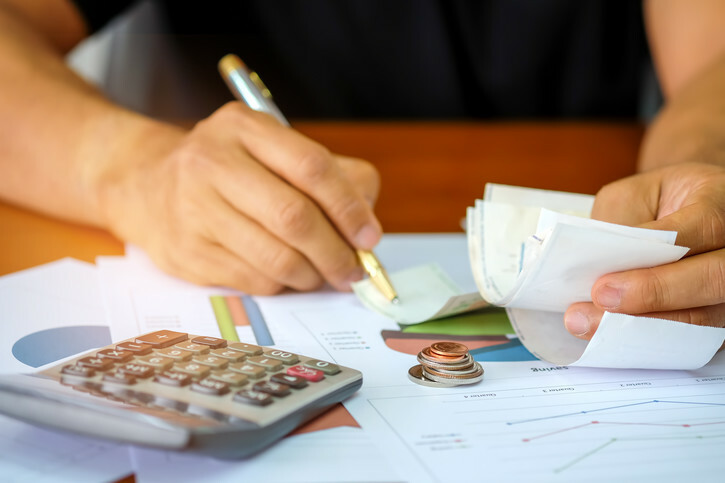 As we dive deeper into the article, you can develop a better idea of how your state's tax law will impact your monthly cost. How can the lease payments be taxed? Once you have totaled up your monthly lease payments (Depreciation + Financing), you can use your state and local sales tax rate and multiply it by your lease payment. That gives you the complete cost of your monthly lease. Sales tax is a requirement whether you lease or purchase a car in the United States. Here’s the catch! 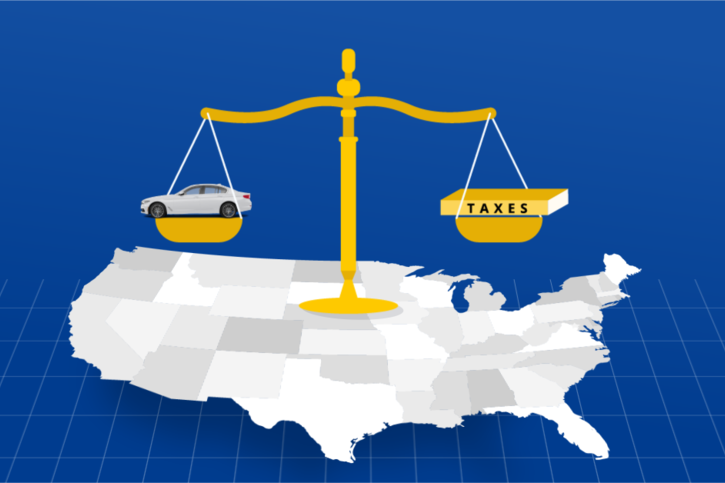 Sales tax is charged differently depending on which state you lease a car. In some states, you do not have to pay the tax on the price or value of the car. Instead, sales tax is added to your monthly lease payment. Therefore, it won’t have a big impact on your wallet compared to purchasing a car. In some states, such as Ohio, you pay sales tax up-front on the lease cost. In other states, like Texas, you only have to pay sales tax on the full value of the leased vehicle. Let’s consider a woman named Cathy. 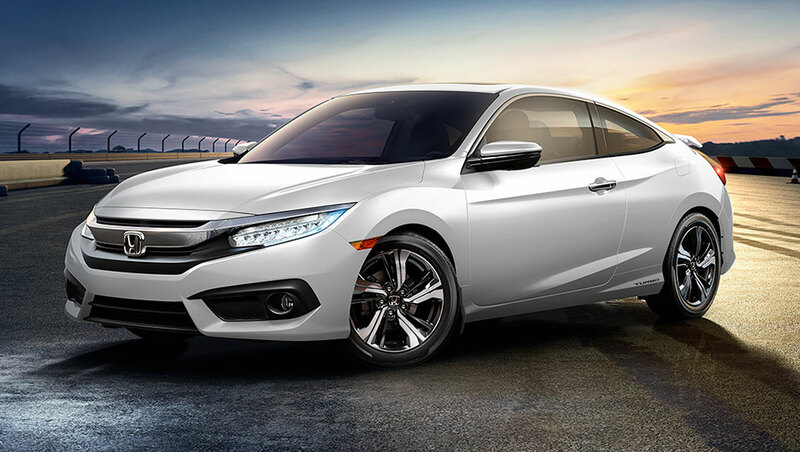 She wants to lease a new 2019 Honda Civic Coupe from Carlease.com with a Purchase Price of $20,650, for a term of 3 years (36 months). On a $0 down payment, Cathy calculated that her lease payments for the Honda Civic Coupe are going to cost her only $280 monthly. Since she lives with her parents in Cook County, Illinois, she only has to pay a leasing sales tax of 8.25%. This brings the sales tax to $31, which is added in each monthly installment. This sums up the each monthly lease payments to $311, including sales tax. Leasing a car ultimately outweighs the up-front payment that comes with purchasing a car. With leasing a car, you have the pleasure of driving a new vehicle every few years without the hassle of the wear and tear and maintenance. How does sales tax work in Illinois? Leasing a car in Illinois has become less expensive than ever. Before it was required to pay sales tax on the value of the vehicle being leased, before you can even fully use it. However, the customer can pay sales tax on the down payment (if any) with each monthly installment. The tax rates can vary by area. In Saint Clair County, the rate is 8.25% while other counties in the Chicago area have rates higher than 9.5%. Can I claim tax deductions for my car lease payments? As a matter of fact, you can deduct sales tax on your leased vehicle. You can either deduct or you claim your state income tax. Deducting sales tax is only possible from your states or local sales tax. If you claim the standard deduction, then you cannot deduct sales taxes. 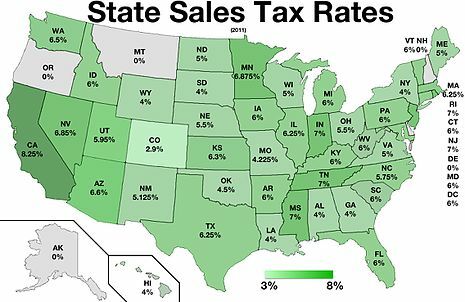 In most states with a state income tax, it would realistically be higher than the state sales taxes, even with sales tax on a car. To claim sales tax on your car, you must meet two criteria. You need to itemize your deductions. Your sales tax deductions including the sales tax on the car must exceed your state income tax. 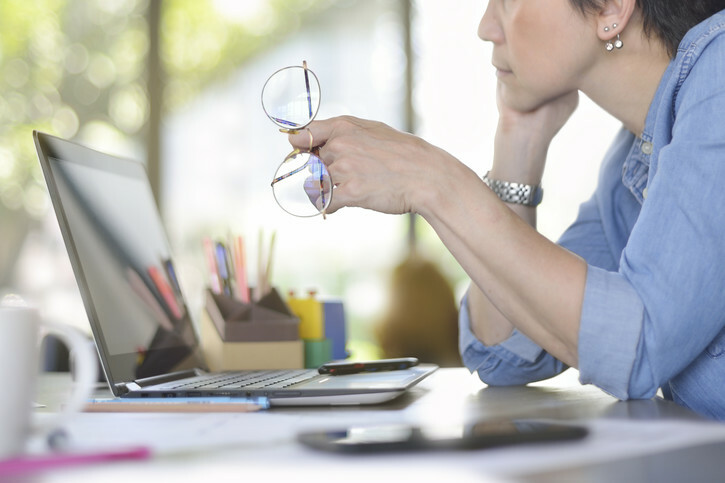 IRS - Sales Tax Deduction Calculator. Add the sales tax you paid on any of these: Cars, motorcycle, boats, airplanes or motorhomes, for more see IRS - Sales Table to figure your deductions. You’ll only want to claim a tax deduction if you paid more in state and local sales tax combined than your total state income tax. By deducting sales tax, you can either save sales receipts or deduct actual sales taxes paid. In most states, such as Florida, Indiana, and California, sales tax is commonly charged on individual monthly payments and down payment (if any). Sometimes, the rates vary depending on the state and the county area. Areas such as South Florida are known to be great for leasing a car since these regions have the highest auto leasing rates in the country. The state charges a 6% sales tax. However, the total sales tax can increase by more than 1.5% depending on the area or county. Therefore, the maximum tax that can be owed is $1,025. Sales tax is based on the individual's monthly lease payments with no down payment. However, there can sometimes be a large final payment if you consider leasing at lower monthly costs. Sales tax is based on the individual monthly lease payments. There are few states that do not charge tax on monthly payments methods. There are a few states that don't charge sales tax on monthly payments, including Ohio, Texas, North Dakota, and New Jersey. They have higher charges and require sales tax to be fully paid up-front, based on the value of the vehicle purchase price and the sum of all lease payments. You are required to pay the full sales tax up-front on the lease cost when you sign the contract. Sales tax applied is based on the sum of lease payments to be made. The sales tax is charged on the purchase price of the car even if it is leased. The sales tax has to be paid up-front with no exception. There is a 5% motor vehicle excise tax. This is due at the inception of the lease and must be paid at the time the vehicle is titled and registered. You can choose whether to pay up-front sales tax on either the purchase price or the sum of lease payments. But that doesn’t give you the leverage to add the sales cost in your monthly installments. 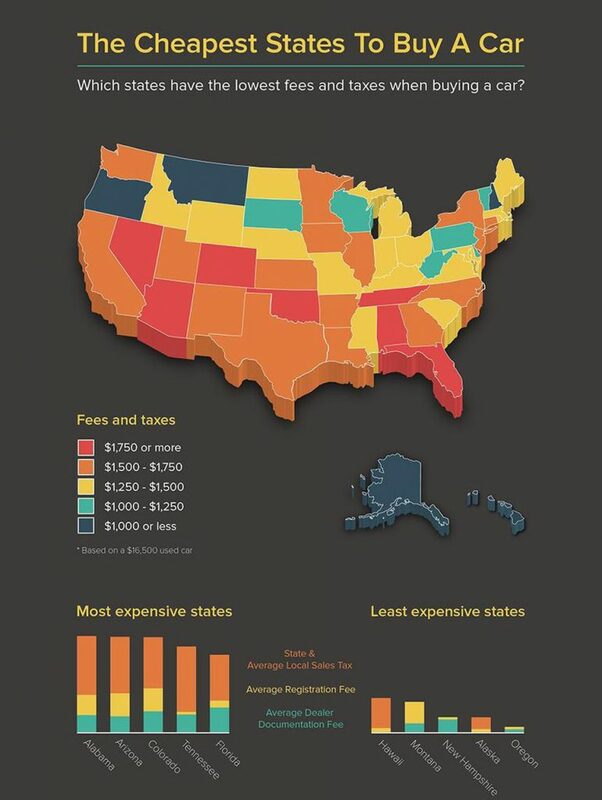 Which state has the lowest fees and taxes? Forbes created these charts to illustrate the five cheapest and five most expensive states in terms of what percentage of the price of the car the fees represent. The total fees are the sum of the average state and local sales tax along with than average state registration fee and average dealer doc fee. It is best for you to lease a car in states that let you pay the sales tax in each monthly payment. However, be cautious. Dealers can cover up these fees and make it look like a really good deal from outside. When you choose to lease your vehicle through Carlease.com, all taxes and fees are transparent through every step of the leasing process. We make it easy for you to lease the car of your dreams! A little research and comparison over the costs involved in the lease can always help you negotiate and secure a good deal. Reach out to our leasing specialists today and browse hundreds of makes and models from the comfort of your own home.